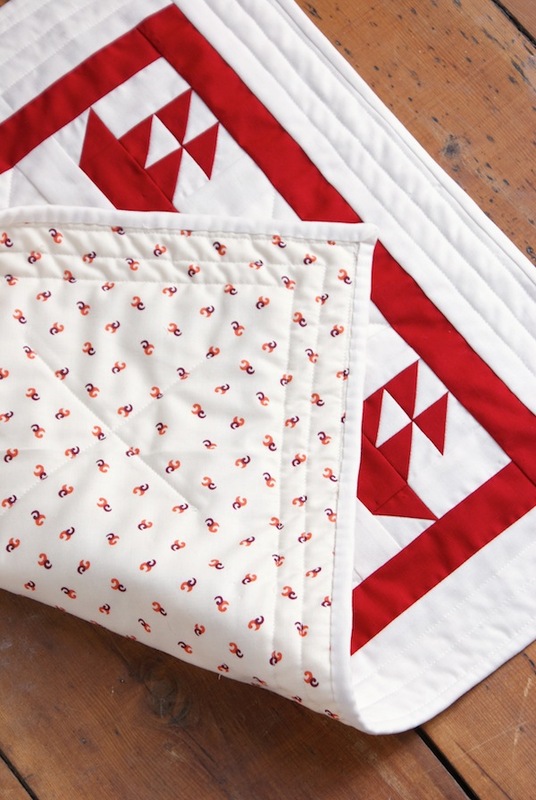 I love traditional red and white quilts, don't you? I've wanted to make a simple red and white mini quilt to hang in my house somewhere for *ages* so I finally got round to it and combined it with my love for nautical decor, and used my Sizzix Plus machine in the process! Win, win! Remember my Naturally Nautical quilt from last year? Yep. I had so much fun making that I decided to shrink the blocks this time round and go red! Here I've used Kona Rich Red and Kona Snow (my favourite 'white') and a Denyse Schmidt print for backing. You can find part 1 (of 2) tutorial to make the Sailboat mini quilt on the Sizzix blog. Enjoy! I think that you created a spectacular mini quilt! Is it not so frustrating that many of us who quilt tend to forget and or just wait to make special projects just for us. I have two quilts that I actually have started for myself, but they had to be moved aside for more important projects. I am hoping that as the weather cools that I will have more time to finish them both before the new year. Thank you for sharing and have a wonderful creative day! I love your mini quilt! I've made a few red and white blocks for a swap and longing to make a full size red and white quilt. Every time I see a red and white quilt it makes my heart beat faster. Love this, it's so simple but has such a fabulous vibe to it.